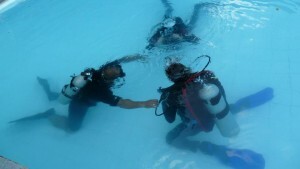 Would you like to know if SCUBA diving is for you? Discover SCUBA Diving allows you to test the equipment in the pool and do an introductory dive in the open water to see if you want to carry on further. And if you decide to continue on, we will can take off from here towards your Open Water course.